Rogue TRI Performance is a multi-sport training company based in Southern Oregon. We offer online training programs for Triathlons, Endurance sports, Strength & Conditioning & Sports Nutrition. Every athlete whether your new to a sport or a 2x Ironman needs a coach to help them improve, bust through plateaus, teach advance techniques and to hold athletes accountable. Your plan is customized for your sport, along with being updated based on your test results throughout the program. I specialize in Sprint to Ironman Triathlons, Strength & Conditioning, Swimming, Biking, and Running. Assistant Masters swim Coach to the Fort Lauderdale Masters swim team where I helped them win back to back championships. Triathlon Coach for the Fort Lauderdale triathlon club. Featured coach in USA Triathlon magazine. Contributing writer for Triathlete magazine. Lead personal trainer at a nationally recognized health club. 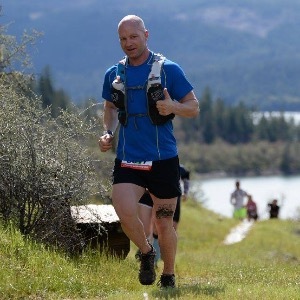 Co-race director for 3 local triathlons in Southern Oregon. The only USAT certified Triathlon Coach in Southern Oregon. Mentored by Swim Coach Marty Hendrick who was inducted into the Broward Sports Hall of Fame in 2014. I am passionate about helping people achieve their fitness goals whether they are to improve overall health or to compete in races. Success. Coach Michael Gallagher has been notified of your message.